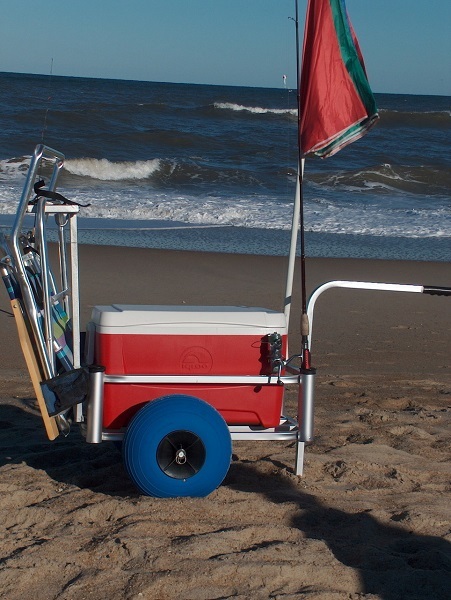 This Fish-N-Mate Junior Fishing Cart with Large Blue Wheels is designed to carry beach chairs, toys, beach equipment or any type of load weighing up to 150 lbs to be transported on soft sand beaches. 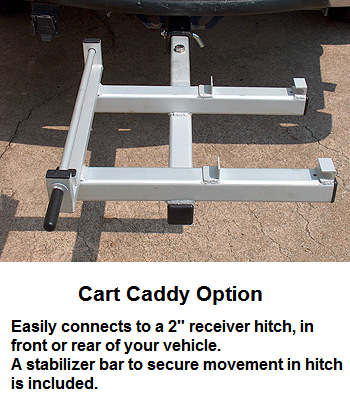 Its aluminum construction coupled with its steel hardware makes the cart robust and durable allowing it to be utilized even on rough and heavy duty conditions. 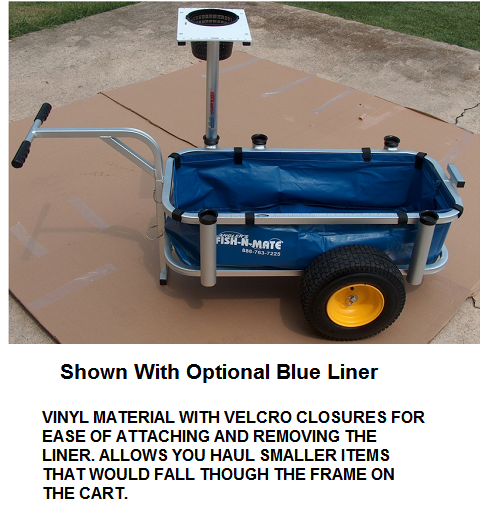 Its large blue poly-wheel tires provides great maneuverability and features a 54 quart cooler capacity. 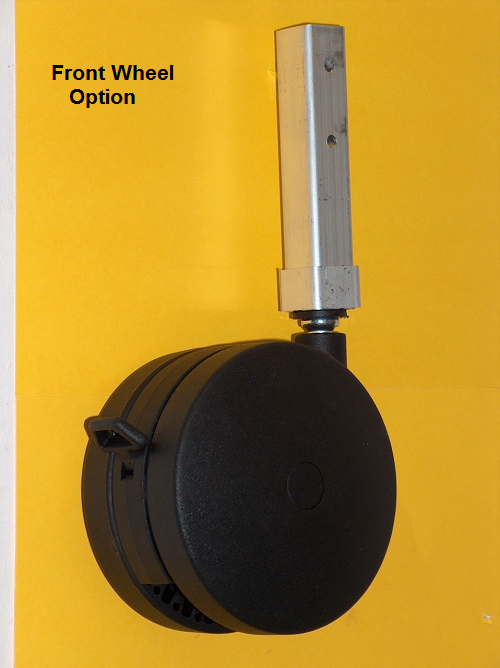 Various optional accessories are available so that you can freely customize the fishing cart to your liking. 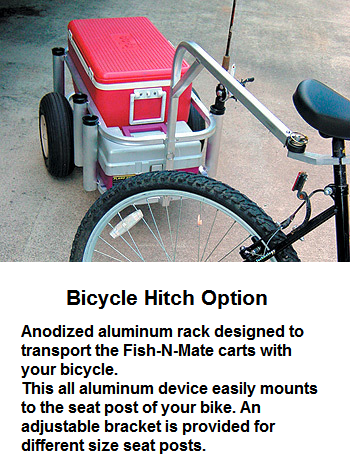 Fish-N-Mate guarantees you a better fishing experience when using their very own Junior Fishing Cart. 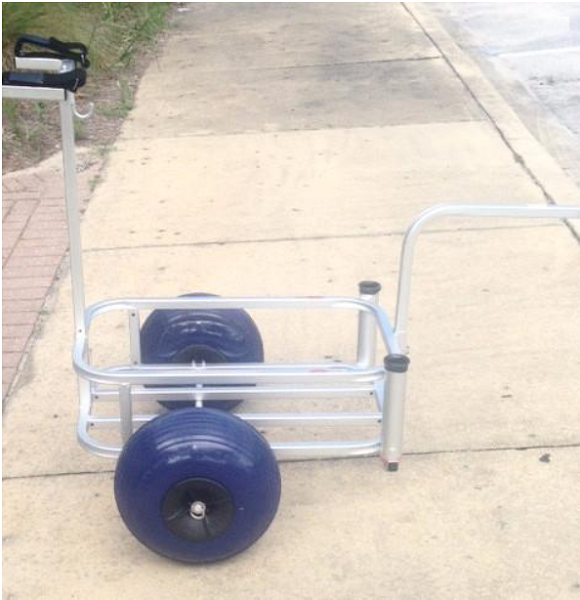 • 2 large 6" X 13" blue poly wheel tires with composite hubs each fitted with 2 sealed stainless steel ball bearings. 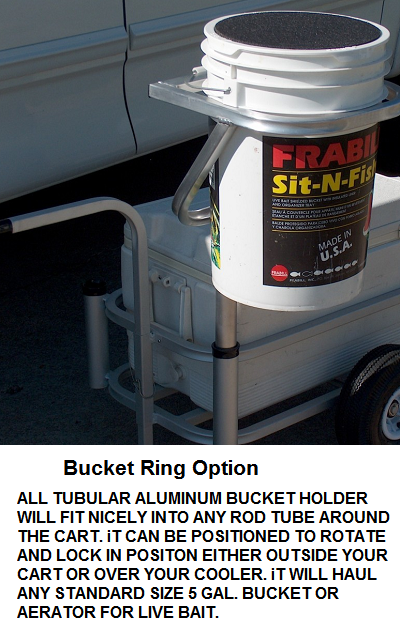 Available optional add-on include: Front Wheel, Bucket Ring, and Bicycle Hitch.